I have one more unique track to post from Spain, and this one is one of my favorites, not only in the country, but in the world. 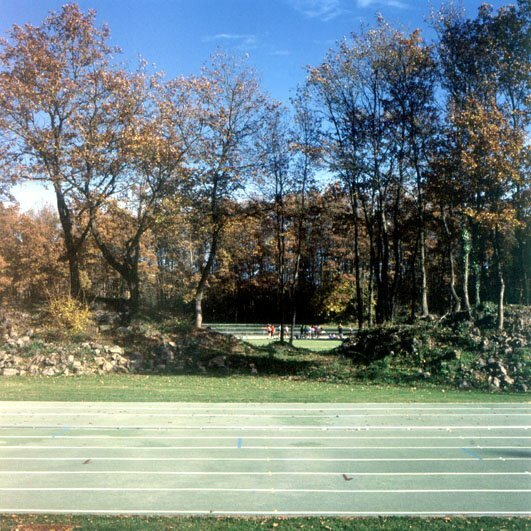 Most track fans know about Nike’s “track in the woods” in Oregon. 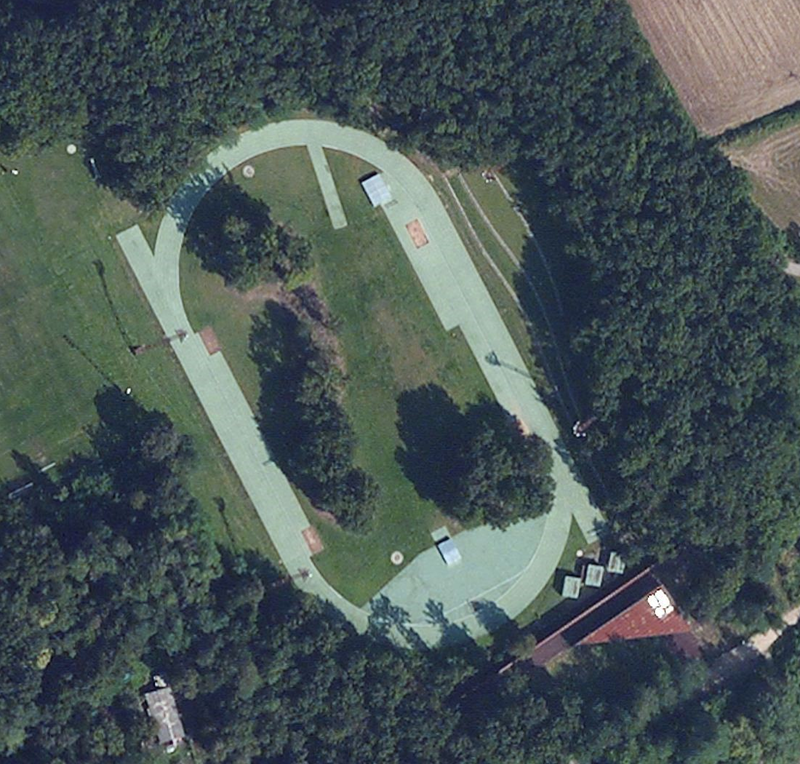 The track at Estadio de Atletismo Tussols-Basil is also in the woods, but this one can actually hold competitions. As many of the old oak trees were as possible were preserved when they started building this track in 1991. 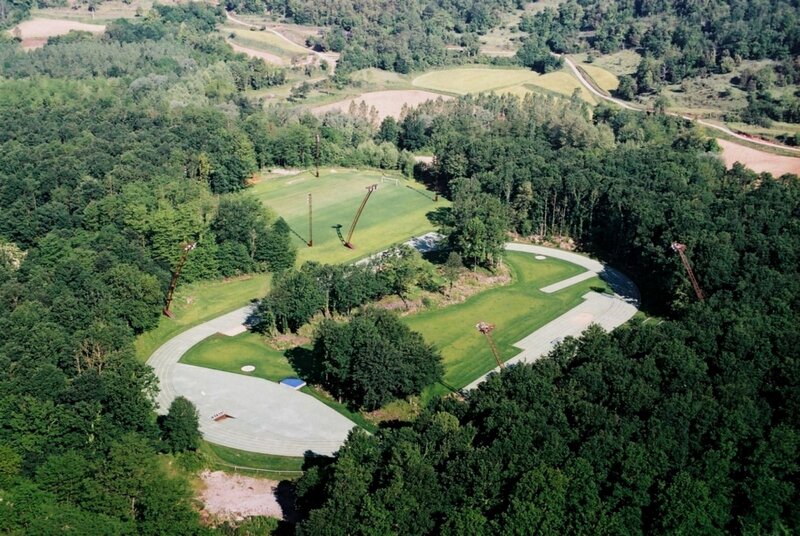 The green surface only adds to the natural feel and look of the overall facility too. 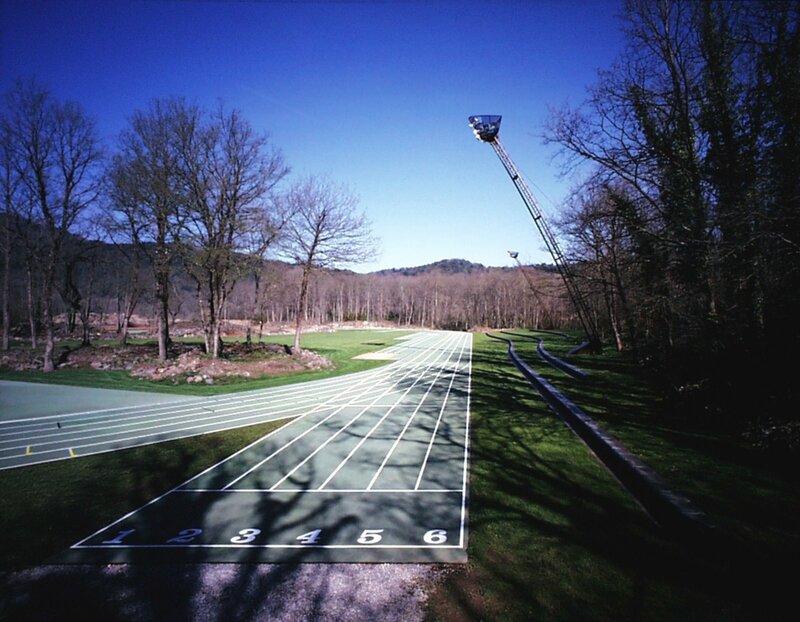 The track has six lanes, and all field events (except the hammer and discus, I think) are on the inside, despite the presence of the trees. From an architectural point of view, this is one of the coolest track & field facilities that I have ever seen. Even the lights are unique. Be sure to check out the photos and drawings on the architects website HERE. I love this one!